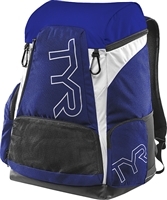 Material:100% Polyester The ultimate mesh gear bag to carry and store a swimmer’s training aids and swim gear. The drawstring opening allows for easy access while the shoulder straps lets your customer carry their gear with ease. Made from a strong nylon mesh that won’t have a problem getting wet and will be durable for the hours on pool deck while they train. 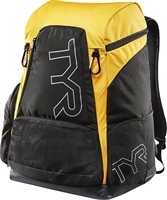 The ultimate mesh gear bag to carry and store a swimmer’s training aids and swim gear. 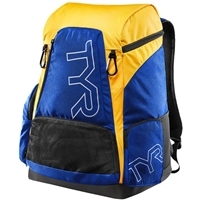 The drawstring opening allows for easy access while the shoulder straps lets your customer carry their gear with ease. Made from a strong nylon mesh that won’t have a problem getting wet and will be durable for the hours on pool deck while they train. 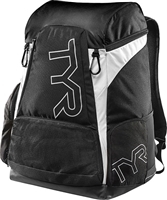 The ultimate mesh gear bag to carry and store a swimmer’s training aids and swim gear. 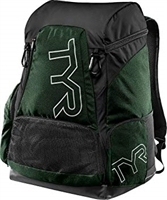 The drawstring opening allows for easy access while the shoulder straps lets your customer carry their gear with ease. Made from a strong nylon mesh that won’t have a problem getting wet and will be durable for the hours on pool deck while they train The Alignment Kickboard uses a hydrodynamic design to improve body position. The stabilizing hand strap allows complete control of the board without gripping, creating a perfect alignment from the fingertips to the toes. When used properly, the Alignment Kickboard sits just below the waterline so swimmers can lengthen their body without kicking at an incline. Shorter in design, the Alignment Kickboard puts less pressure on shoulders as compared to standard kickboards. A great training tool, the board can be used to do one arm and side kicking drills in addition to normal kicking. When paired with a snorkel, the Alignment Kickboard encourages proper head alignment and improves overall technique. The Alignment Kickboard uses a hydrodynamic design to improve body position. The stabilizing hand strap allows complete control of the board without gripping, creating a perfect alignment from the fingertips to the toes. When used properly, the Alignment Kickboard sits just below the waterline so swimmers can lengthen their body without kicking at an incline. Shorter in design, the Alignment Kickboard puts less pressure on shoulders as compared to standard kickboards. A great training tool, the board can be used to do one arm and side kicking drills in addition to normal kicking. When paired with a snorkel, the Alignment Kickboard encourages proper head alignment and improves overall technique. 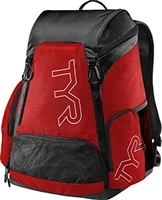 A great bag for storing all your training equipment. Mesh lining for ventilation. Measurements 25.5" x 18.5" x 16.5" A great bag for storing all your training equipment. Mesh lining for ventilation. Comfortable padded back panel and shoulder straps with chest strap for postural support.